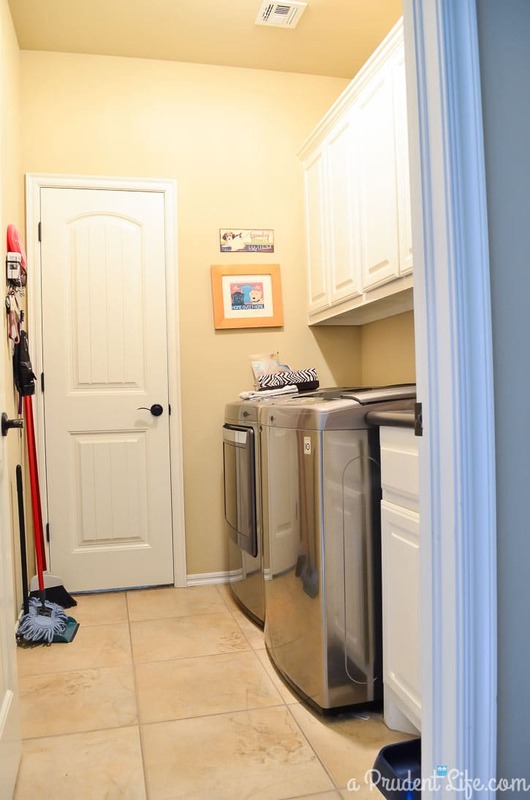 We have a smaller laundry room with doors on both ends (one to our master closet & one to our entry area from the garage). 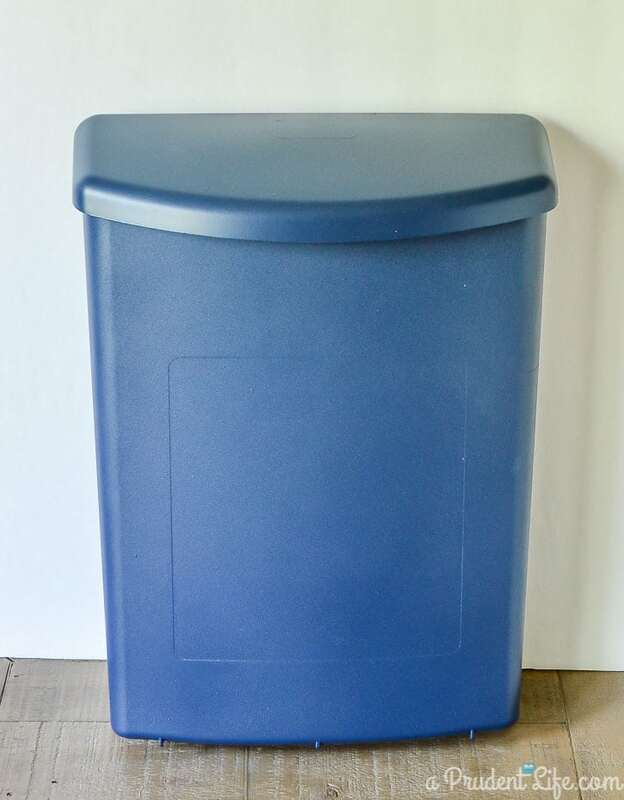 Because of the set up, there is zero room for a regular trash can. And that leads to a serious dryer lint dilemma! Dun dun dun…. Before the laundry room makeover, I kept a shoe box on the dryer to dump lint in between every load. It was a kinda pretty zebra shoe box, but not the best solution to just have an open box of trash on the dryer all the time. You can see the layout and my overflowing trash box in the before shot. My new setup is SO MUCH BETTER. 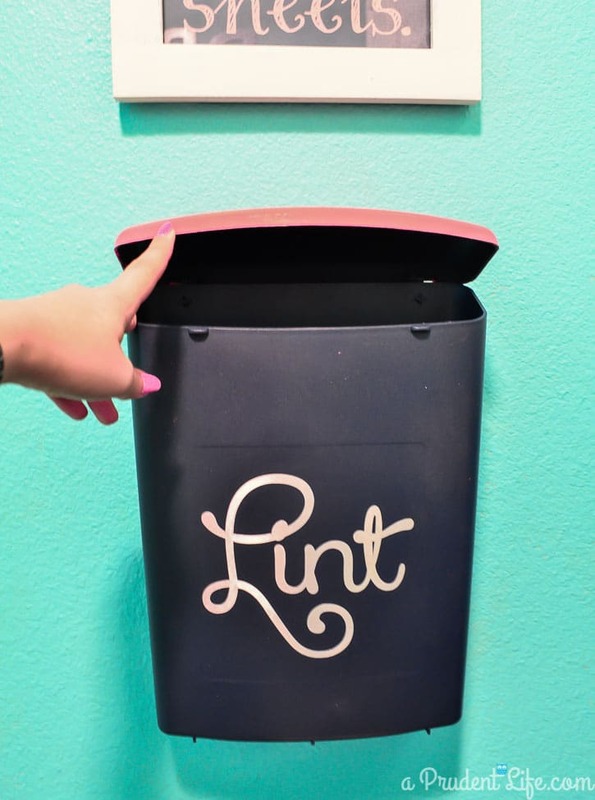 I get excited each time I get to empty the lint trap into my new lint bin. I probably shouldn’t admit that, right? It started with one of those little boxes people put real estate flyers in by the curb. I was planning to pick one up at the hardware store, but came across the sturdiest one I have ever seen on clearance. It has the perfect hangers on the back that make it easy to take on and off the wall to be emptied. I don’t think they are carried in the store anymore, but Amazon has the same one available here. I went through my spray paint stash and found some plastic primer & a navy that would work with my color scheme. Isn’t it great when you have what you need on hand! Once the container was all navy, I thought it was too boring. I painted the lid pink with craft paint & added a pretty label with silver vinyl (the same kind I used on Maddie’s bowl). I’ve done a few loads of laundry and I’m probably enjoying the lint removal from the dryer process a little too much now. It doesn’t stick off the wall very much, which helps it become more like a decoration vs a trash can stuck to the wall. Hmmm, now that I thought trash can, I have a vision of Oscar the Grouch popping out of my pretty pink lid. Creepy! 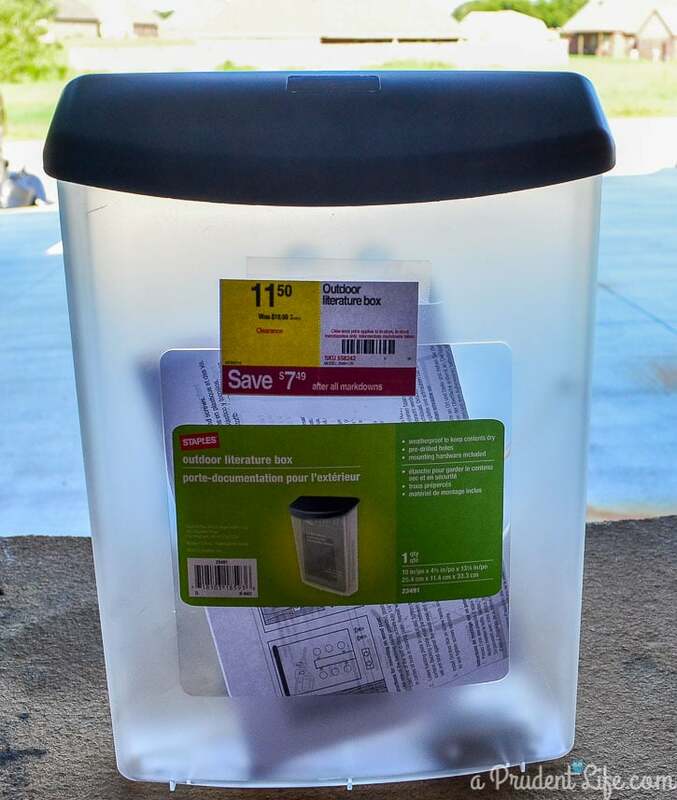 I went out and bought the outdoor brochure holder today. Lucky you to have got it at 11 bucks. I paid the full price of 23 🙁 I will be making it tomorrow. Not sure if I can post a pic of it here? 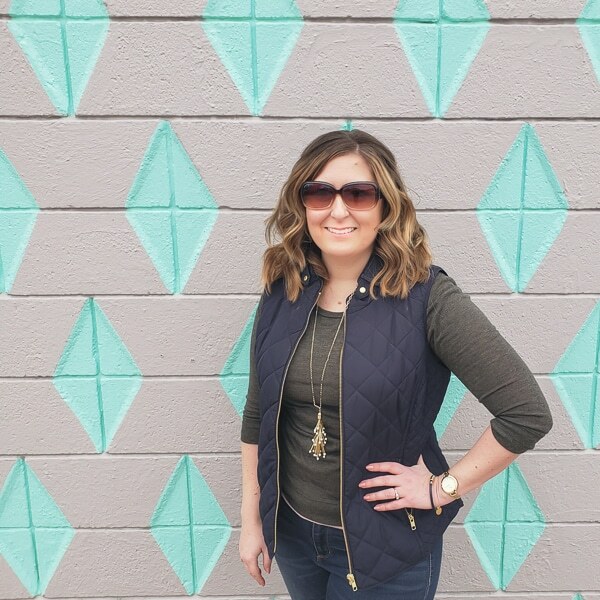 Thanks for this and you have inspired us to do a workroom makeover based on your garage makeover. Keep up the inspirations! Ugh, bummer on the price! You won’t be able to post a pic in the comments, but if you ordered a label on Etsy, you can post it in the reviews! If not, you can still email me a pic at melissa @ polishedhabitat.com. 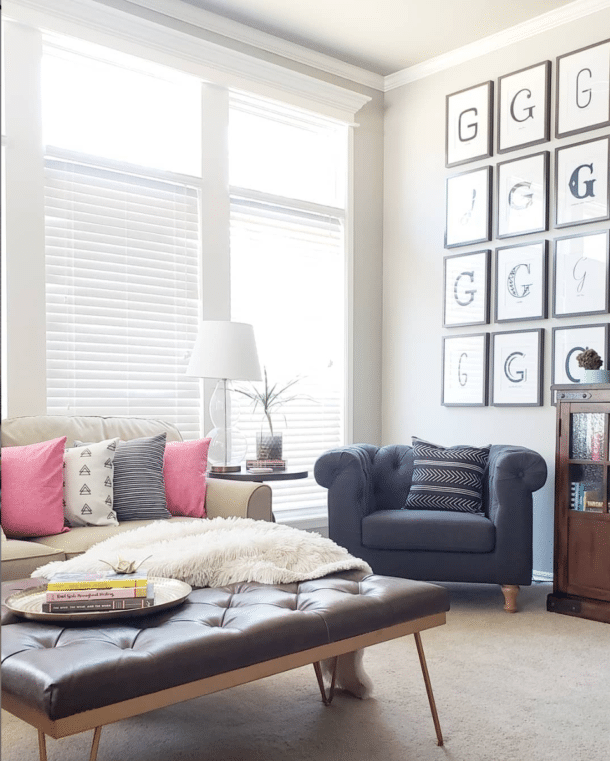 I’d look to see it and am so thrilled our work in the garage inspired you! Love this! 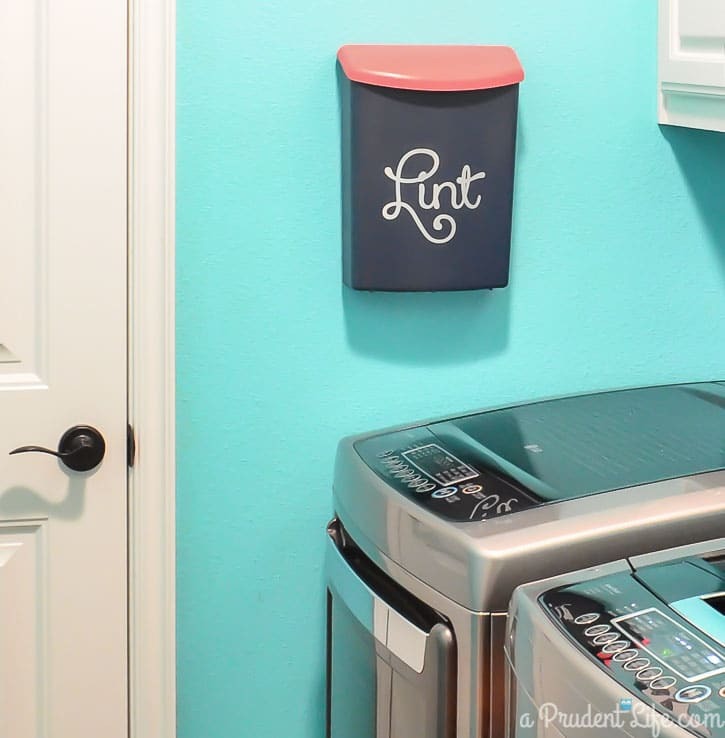 As my dryer is on the other side, I’m thinking I’ll do this but put magnets on the back and stick it to the dryer….hmmmm… And, I save my lint and make fire starters with toilet paper rolls and wax…guess I need a cute box for the toilet paper rolls now too! Thanks for sharing. I love this idea and I am getting ready to move into a smaller apartment so this is a great idea…I also take the lint that I save thru the summer and put in in a suet bird feeder thru the fall because birds love to use it for their winter nests. 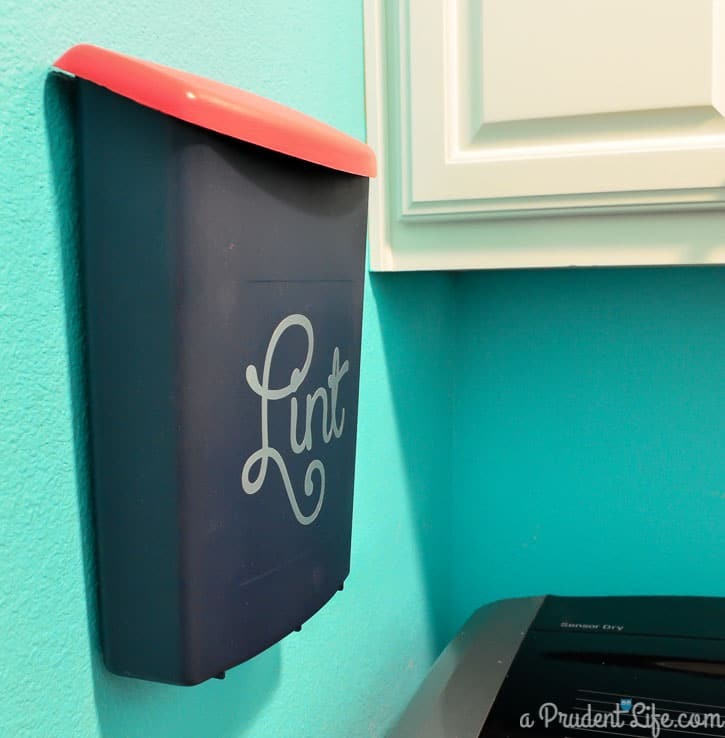 great idea….wondering if opening the lid is hindered by the wall behind it? Not at all, we’re still using it daily years later! Clever, clever! I’m sure you could glue magnets or get ones with adhesive and just hang it along side one of the machines, too. We use a magnetic clothes pin style hanger and just hang a bag from it. But, this has a bit more style. Cool! That’s a great idea to use the magnets too! Our machines are a tight fit, but I know other configurations have room on the side of the machine, but no nearby wall to use like we did. Thanks for sharing!